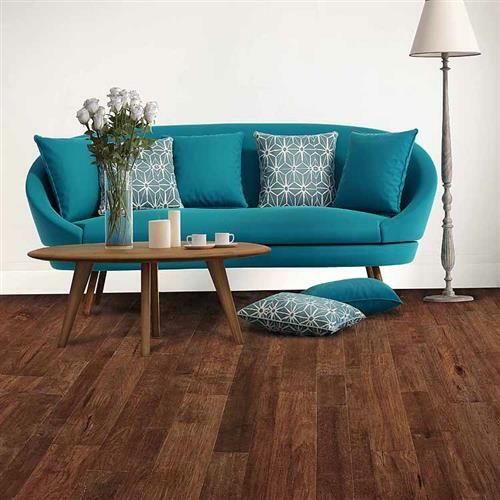 We carry a huge selection of name brand flooring. You will always get the lowest price possible! Only orders of 240 sq. ft. or more due to cost of transporting locally and delivery fees. low prices, we will be glad to give you a price, please call, you will be glad you did! Remember, prices can change without notice! Please call to confirm prices! ND, NE, NH, NJ, NM, NV, NY, OH, OK, OR, PA, RI, SD, TX, UT, VT, WA, WI, WV, AND WY) will be slightly higher depending on distance from our distribution sources, call for your special discount shipping rate! ORCHARD WALK SALE will not last long. Step onto casual elegance with the Orchard Walk Collection. and knotting patterns are pleasingly exceptional. gentle textures in each uniquely crafted plank. Pick the color for you, below and really save big today! 3/8" x 4 9/10" x Random Length up to 47 3/4"
Special on Distressed Birch 3/8" x 5"
Sale Price only $2.49 sq. ft. Call 1-800-743-4762 to order now! 3/8" x 5'' in random lengths 18" - 48"
EEL 5201 Tahoe, EEL 5202 Bison, EEL 5203 Brushed Light Mocha, EEL5204 Tumbleweed, and EEL 5205 Brushed Sahara Sand. Only $ Call for your low price sq. ft.
Click on color names below to see this exciting new flooring! EEL5204 Tumbleweed 3/8" x 5"
Here is a true hand carved hardwood. on 945.12 sq. ft. pallet orders. Beautiful features are obvious in the grain, the real hand carving, hand distressed, and dual hand stained. 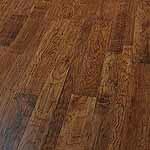 Has well detailed edges in this 3/8" x 5" engineered hardwood floor with random lengths 18"- 48" . Features a 50 year finish warranty and a lifetime structural warranty. Amazingly low price with a Lifetime Finish Warranty and Structural Warranty! Float, glue, or staple down installation. Install above, on, or below ground level. Advantage price today (Call) sq. ft. with a minimum of 250 sq. ft. order! Click any color link below to see all colors! 1-800-743-4762 for the lowest price available! For all other Armstrong / Hartco Hardwood Floors please call 1-706-226-1777 or 1-800-743-4762. Get the best buys and lowest prices prices everyday M-F 9-5:30 eastern time, just a phone call away, shipping coast to coast! Introducing a multi-width hand-carved and hand-distressed wide-plank hardwood flooring accented with rustic grooves and chatters. Engineered from fine birch, these luxurious colors are finished using time honored, hand-applied craftsmanship and 8 coats of American Valspar Ultra Transparent Aluminum Oxide finish. This finish has been enhanced with a UV protection to help the color and the clear coat last and last. Comes prepackaged in an impressive 3, 5, and 7" mixed-width configuration with an impressive 50-year residential warranty. Also has a 3 Year Commercial Warranty. Glue, Nail, or Float inside any level of home! Plus you can use our volume discount shipping rates coast to coast! 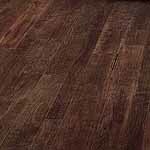 Rich colors are presented in the handscraped Hickory Ridge Distressed series by Prestige. This unique flooring is available in random 3", 5", and 6 1/2" widths allowing the consumer to create their very own unique flooring display. The Hickory Ridge random widths collection is backed by a 50 year finish warranty. 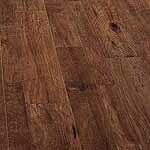 SERIES NAME: Hickory Ridge Distressed 3", 5", 6 1/2"
1-800-743-4762 for availability and the best price! Installs easily anywhere in your home - on any level! Choose from many different varieties of hardwood species and colors! All colors of Beaumont Plank are now on sale! all 4 sides square - engineered oak hardwood. for more colors click here! Your choice of these Beaumont Plank colors. 422270 Sienna Beautiful floors for you - and you will pay less! Augusta Oak can be installed in any room with temperature / humidity controlled area in your home. Sale - Your choice of the 5 colors above! 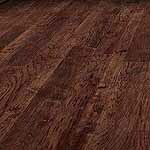 Also available in 3/8" x 5"
Bruce Hardwood at the best (lowest) on floors from Advantage Carpet & Hardwood in Dalton, Ga..
Get the best buy with our lowest prices on bruce hardwoods!! Direct your calls to 1-706-226-1777 or 1-800-743-4762 and save 30-70% off retail on most major name brand flooring products! !